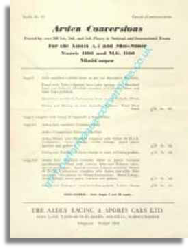 Arden Engineering & Sports cars was founded in 1955 by Jim Whitehouse, in the town of Tanworth in Arden, Jim was an experienced Motor Sport competitor in various types of racing car and the business was initially based around the general repair and preparation of competition cars. The entire enterprise was run from outbuildings attached to the family farm. 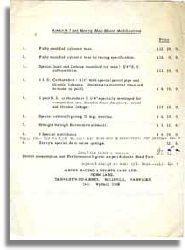 Jim soon developed a reputation as an excellent engineer and was at one time working on ten customers cars practically simultaneously. 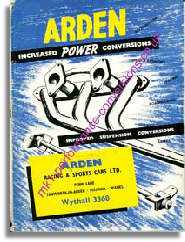 To fill the long winter nights during the "off season" Jim would prepare and sell tuning kits under the name Arden Conversions Ltd. 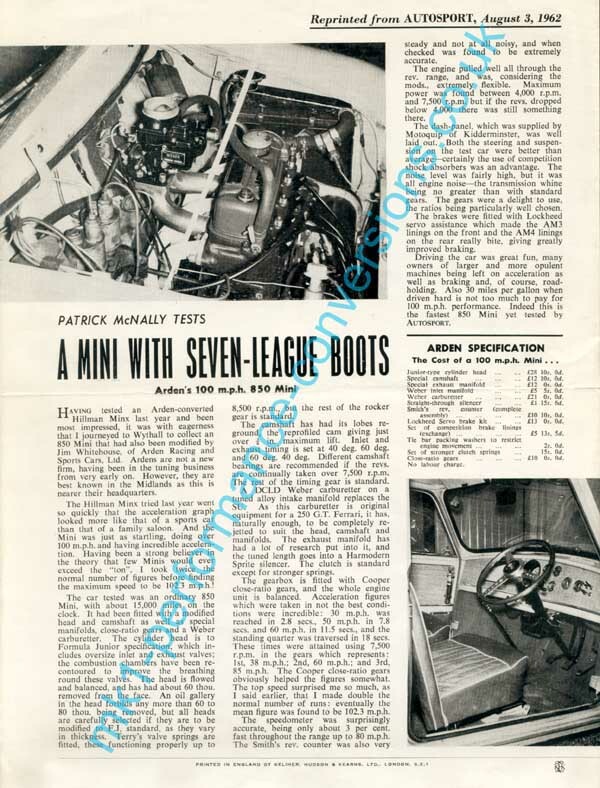 Shortly after the Mini appeared he found himself selling "Go Faster" kits to such young lads as John Handley & Steve Neal, who used them to great effect in Rallies, Races and whatever other events you could think of! 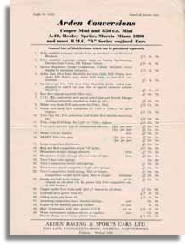 Jim had made supplied and sold all sorts of tuning equipment, but he had one last major surprise up his sleeve. 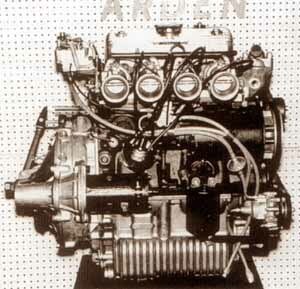 The Arden 8 port head. 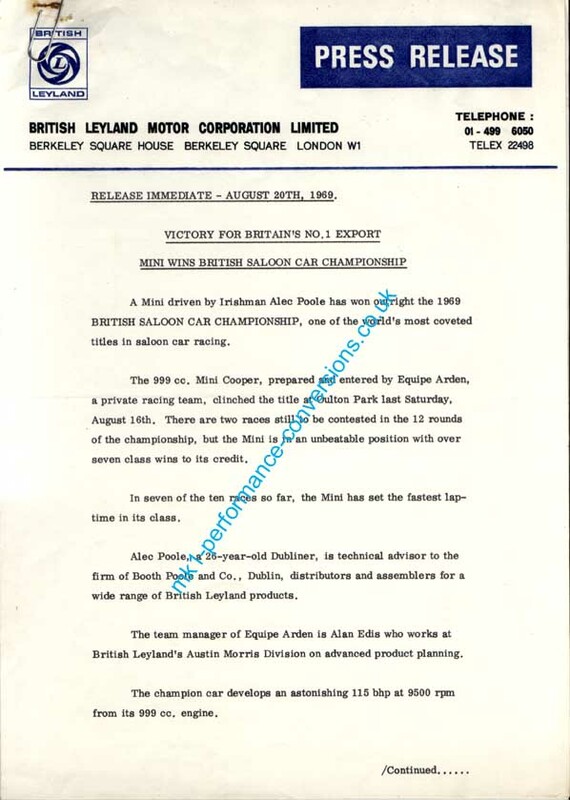 The first prototype was cast in Birmingham by the same company as cast such items as the Mini gearbox casing, when he received the sample he machined it up, filled the inevitable blowholes with Araldite (the tuners friend) and off Went Steve Neal, on the first time out Steve was running second revelling in the extra power and torque when the inevitable happened. 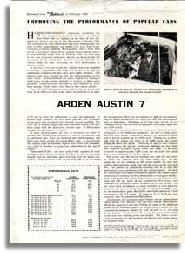 The Araldite melted and the engine ground to a halt. 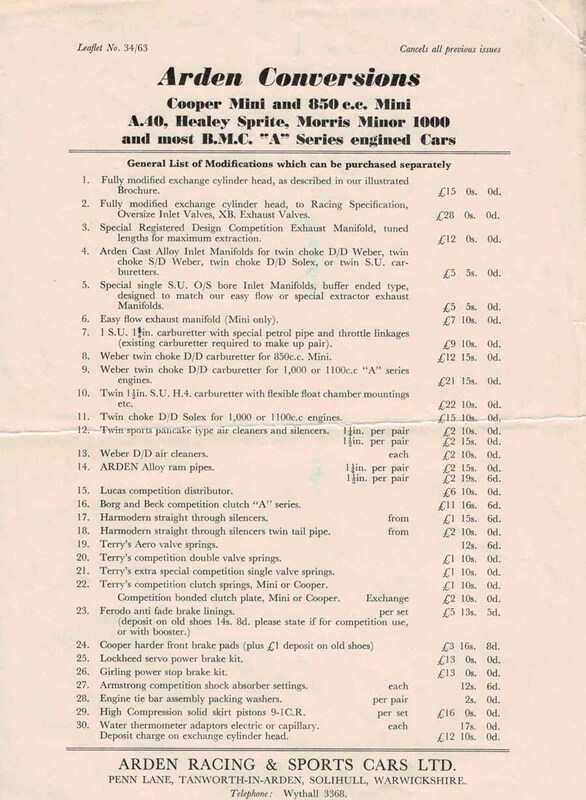 Undeterred by this initial setback and encouraged by the competitiveness of the new head, Jim placed an order for 500 castings from Birmid, these were delivered 25 at a time and Jim was kept more than busy. 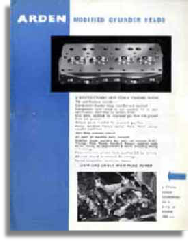 Jim's head was adopted by the Competitions Dept / Special tuning in 1967 and was sold as a genuine BMC part for a number of years. 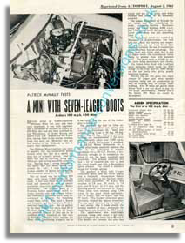 It has to be said that the original fault did rear its head on more than one occasion and that even today, if you are lucky enough to find one of these heads in a "useable" state, get it pressure tested before use, a lot of them did leak! 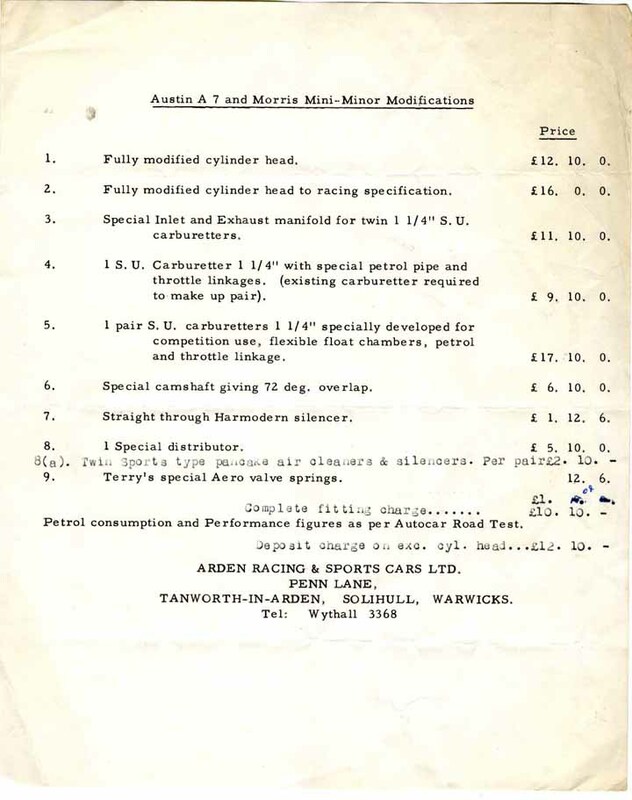 For years a few of Jim's mates had been running under the "Equipe Arden" banner, this was an informal arrangement between friends. 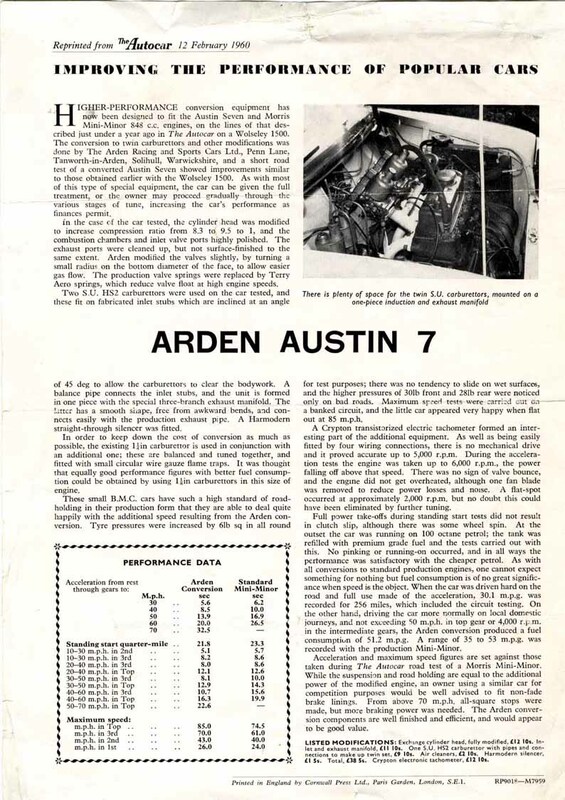 However the "Team" were eventually formalised so that by the 1968 season Equipe Arden was running a works supported 999cc Cooper S in the British Saloon car Championship Check out this press release to see how they did! Jim is not too interested in Minis or Motor Sport nowadays, but I was lucky enough to meet him in 1999 at Mini40 where his 999cc 8 port fuel injected racer made its first appearance for nearly 30 years.